the new tourist attraction D'Dieu Land is located in the tourist area Ciumbuleuit Peak Pageurmaneh, Punclut, Bandung, West Java Indonesia. 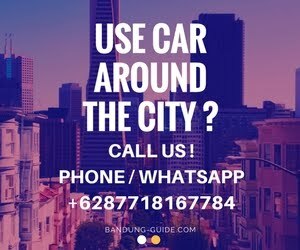 Its location is close to some Cafe in Bandung which is on the top of the famous ciumbuleuit such as Lereng Anteng and Tafso Barn. The origin of the name D'Dieu Land itself is derived from the Sundanese language "Didieu" which means here, and officially opened to the public right on December 28, 2017. Traveler's, D'Dieu Land Punclut Bandung itself is built on a land area of 5,500 square meters, and its location occupies a slope of the hill area. D'Dieu Land is a new tourist attraction in Bandung that carries the concept of tourism with tagline "Playing, Hanging Out, Outbound". 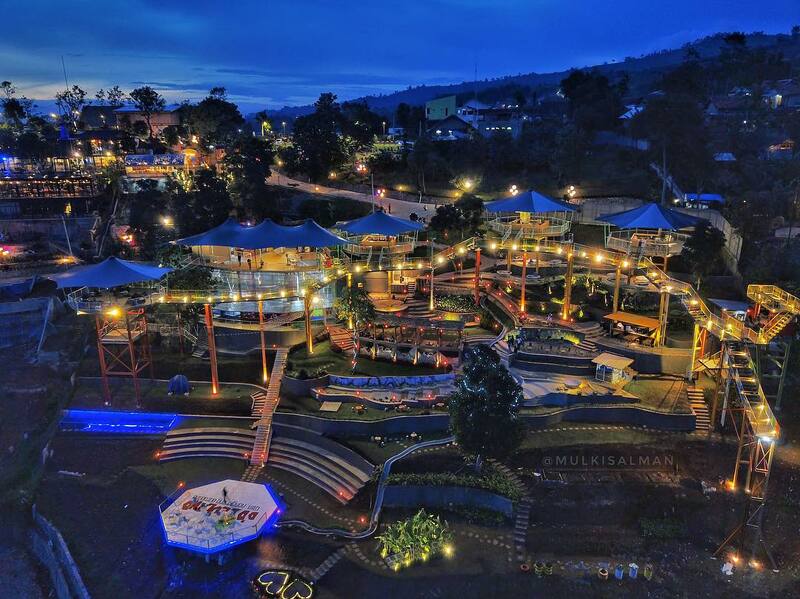 Besides offering the natural beauty of bandung at altitude and enjoy bandung city light, this tourist place also offers unique characteristic, the trademark is in this area there is a vehicle bridge that can be used as a place to walk visitors who come aka Sky Walk. The height of the interconnected bridge is about 10 meters above ground level, so in addition to making fun also create a sensation when crossing it, and spot the sky walk bridge is then become a very interesting area and a special attraction for visitors take pictures there. Every visitor who will enter and play at D'Dieu Land Punclut will be charged Rp.10.000 / people (weekday) and Rp.15.000 / people (weekend). While to play in indoor playground rides visitors will be charged Rp.30.000 / people (weekday) and Rp.40.000 / people (weekend). Friends of traveler's, operational time of new and very interesting and unique sights are everyday, Monday to Sunday, open from 09.00 - 22.00 WIB.